ISLAMABAD: Confronted with an uprising at home, the visiting Bahraini foreign minister agreed on Tuesday to greater defence cooperation with Pakistan and strengthening of bilateral economic and trade ties. Bahrain's Foreign Minister Shaikh Khaled Bin Ahmed Mohamed Al-Khalifa in his meetings with President Asif Ali Zardari, Prime Minister Yousuf Raza Gilani and Minister of State for Foreign Affairs Hina Rabbani Khar discussed on Tuesday expansion of bilateral ties, particularly defence cooperation that has been the bedrock of relationship between the two countries. 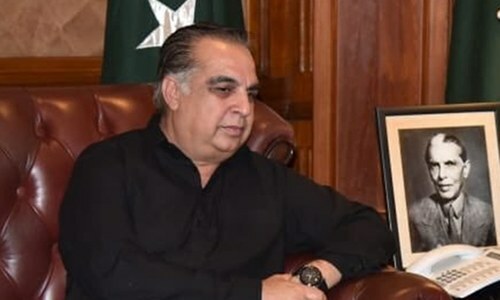 The foreign minister brought a message from Bahrain's King Hamad Bin Isa Al-Khalifa for the Pakistani leadership, hoping that Islamabad would continue with its 'principled stand' on the situation in the Gulf state. The king, in his message, reiterated his government's commitment to providing utmost security to Pakistani expatriates five of whom have been killed and another 3,000 displaced because of rising xenophobia in Bahrain. 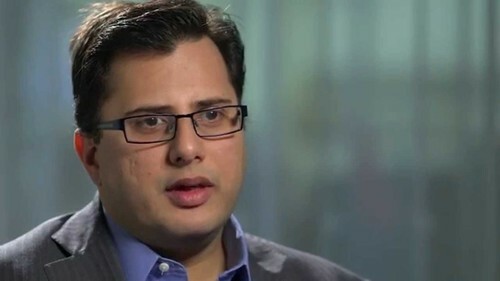 Pakistan has been supporting Bahrain's monarchy during the 'Arab Spring' that saw massive uprising in Bahrain and other Middle Eastern countries and believes that democracy protests could upset the stability in the region. President Zardari clearly reiterated this policy at his meeting with the visiting FM. “Pakistan desires peace, security, and stability in Bahrain. Pakistan… would not like its (region's) stability to be upset in any way. Pakistan believes that it would be dangerous for regional peace and stability if the system was destabilized one way or the other”. Pakistan had earlier endorsed the Saudi-led GCC intervention in Bahrain to shore up the beleaguered government in Manama. Diplomatic sources say despite a general consensus on bolstering defence cooperation, specifics were not discussed. “Prime Minister Gilani had a proposal ready with him to offer the Bahraini foreign minister recruitment of retired Pakistani military personnel in Bahraini defence forces, but such an opportunity did not arise as talks primarily focused on the larger picture and not the details,” said a senior official, who had been briefed on the discussions at Mr Khalifa's meetings with Pakistani leadership. Pak-Bahrain defence cooperation is already in a very good shape. Pakistan had helped Bahrain set up its naval forces and 18 per cent of the Gulf state's air force comprises Pakistani personnel. It is estimated that almost 10,000 Pakistanis are serving in security services of Bahrain and one of the key demands of protesters seeking an end to the monarchy has been the removal of Pakistanis from Bahraini forces. Bahrain had in recent past expressed interest in procuring defence equipment from Pakistan and its (Bahrain's) National Guards are currently recruiting security personnel through Pakistani military's welfare wings Fauji Foundation and Bahria Foundation. Mr Khalifa was quoted in a statement issued by the Prime Minister's House as having expressed satisfaction over the state of defence cooperation. 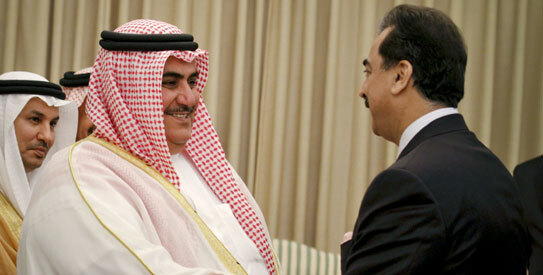 Pakistani leaders in their meetings continued praising King Hamad Bin Isa Al-Khalifa's national reconciliation efforts. However, they were told that constitutional reforms for pacifying protesters was not Bahrain's priority, Manama instead first wants to address the security and law and order situation to reconsolidate its authority. The Bahraini foreign minister assured Pakistan of Manama's help in starting strategic dialogue with the Gulf Cooperation Council and pushing for a free trade agreement with the GCC. We must endeavor to bring harmony, peace and cordial understandings based on justice and equity. Had rulers of Pakistan existed at the time of Holy Prophet, they would have opted cooperating with polytheists for the sake of so called stability. May! Allah guide the leadership to have courage of siding with truth and noble cause.